Peruse a multitude of local and international works of various disciplines at National Gallery of Canada, one of the leading galleries in the country. Enjoy pieces by some of history’s most revered artists, including Warhol, Mondrian, Dali, Picasso, and a host of others. Photography enthusiasts shouldn't miss a visit to the gallery's Canadian Photography Institute. After exploring the vast collection, you can dine in the restaurant and enjoy the view of the Parliament buildings and the river below. Be sure to pop into the gift shop for the opportunity to purchase a plethora of art publications and souvenirs. 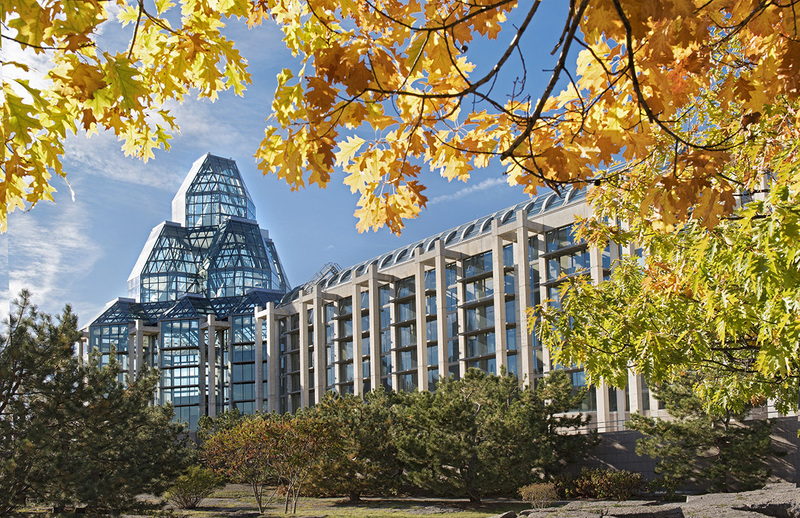 Put National Gallery of Canada at the forefront of your travel plans using our Ottawa itinerary builder website . The architecture of the Museum is exceptional. If you. You go to Ottawa, think about coming for a tour this very contemporary Museum offers a culture trip of a large Bill with different types of exposure. To do and very inexpensive, $14 for 2 students! This was great and extremely large. Plan for a full day if you want to see all exhibits. We spent about 4 hours here and it could have been way longer. Best to plan out how much time you want to spend at each exhibit, however, you may get lost in some as they are full of exceptional pieces that you may want to spend more time on. This was my second time here and I would recommend it! The Paul Klee exhibit at the National Gallery was stunning. The gallery itself is an amazing space, and seeing the works of a talented and versatile artist in such a space was awesome. It was as if the art enhanced the building and vice versa. We also had an excellent guide who was able to speak about some of the more subtle points of Klee's art without dumbing it down. Fabulous. I wasn’t a huge fan of this Gallery. The augmented reality app was neat, but I felt like it could’ve been used throughout the gallery, not just in a specific section. Museums and Galleries all over the world are making their exhibits more interactive and using technology to enhance the experience. I was expecting a bit more. Beautiful architecture, a great selection of collections to view. I didn't know what to expect going in, but it's a very nicely kept museum. There's two levels of art galleries, with the temporary exhibition and Canadian/Indigenous art on the bottom then international on the top. There's a fantastic number of paintings from excellent Canadian artists I've never heard of, as well as fascinating pieces of first Nations clothing, art and sculptures. It's a great demonstration of Canadian culture over the centuries. As for international art, there were many works from celebrated artists I've seen only in books before which was very interesting. Always a pleasure! Also, so considerate to keep spare walkers etc. It makes the visit so hassle free. Thank you!!! The tapas bar after the Paul Klee exhibit was a perfect way of ending an enjoyable Sunday afternoon. Every day, we help thousands of travelers plan great vacations. Here are some tips on how to use your Listing Page to attract more travelers to your business - National Gallery of Canada. Promote your permanent link - https://www.inspirock.com/canada/ottawa/national-gallery-of-canada-a15908393 - on your website, your blog, and social media. When a traveler builds a plan from this page, the itinerary automatically includes National Gallery of Canada. This is a great way for travelers looking for a great vacation in your city or country to also experience National Gallery of Canada. Promoting your link also lets your audience know that you are featured on a rapidly growing travel site. In addition, the more this page is used, the more we will promote National Gallery of Canada to other Inspirock users. For best results, use the customized Trip Planning Widget for National Gallery of Canada on your website. It has all the advantages mentioned above, plus users to your site can conveniently access it directly on your site. Visitors to your site will appreciate you offering them help with planning their vacation. Setting this up takes just a few minutes - Click here for instructions.